Snowdonia’s known for its hiking, and it’s one of the UK’s most spectacular settings for a pet friend holiday. Whether you spend your break wandering mountain roads, cycling or visiting the area’s attractions, it’s gorgeous. Perfect for a romantic escape for two (or three if you count the pooch), or a family break that’s all about making memories…the adventure starts here. Let’s start with those pet friendly Snowdonia days out. First up, it’s Greenwood Forest Park in Gwynedd, a family adventure park named Best Family Attraction in North Wales six years running. Dogs are welcome on leads throughout the park, so your pooch can enjoy the family fun. 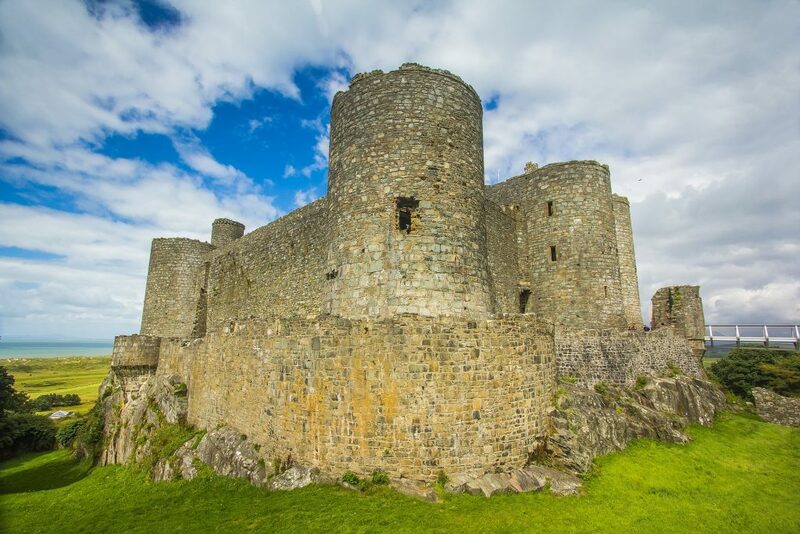 Harlech Castle (in Harlech), is a medieval fortification and welcomes dogs on leads. Perched high up on a rock, the castle’s popular for its stunning coast and country views. If you fancy taking the weight off your feet and taking in the scenery, the Llanberis Lake Railway welcomes dogs on board for a small charge. 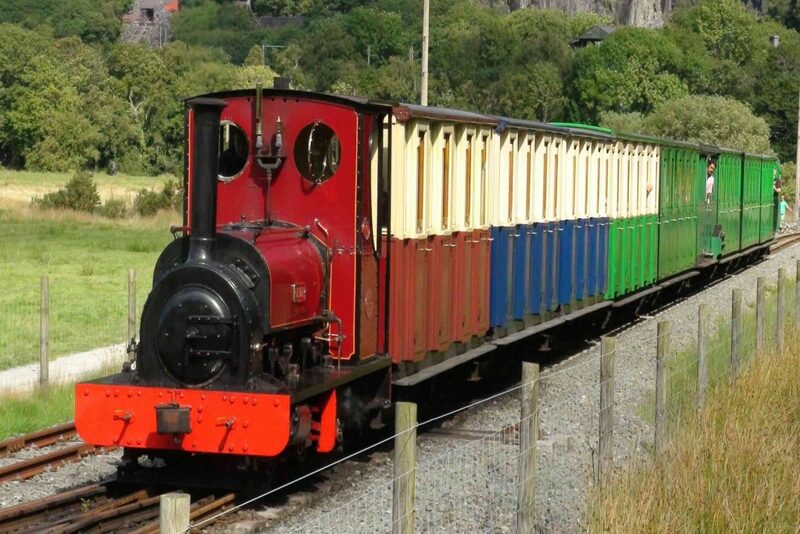 The train runs through the Padarn Country Park, following a route of five miles. To be honest, the best way to take in the incredible views you’ll find in Snowdonia, is on foot. And that means plenty of opportunity to spend time wandering pastures new with your dog in tow. 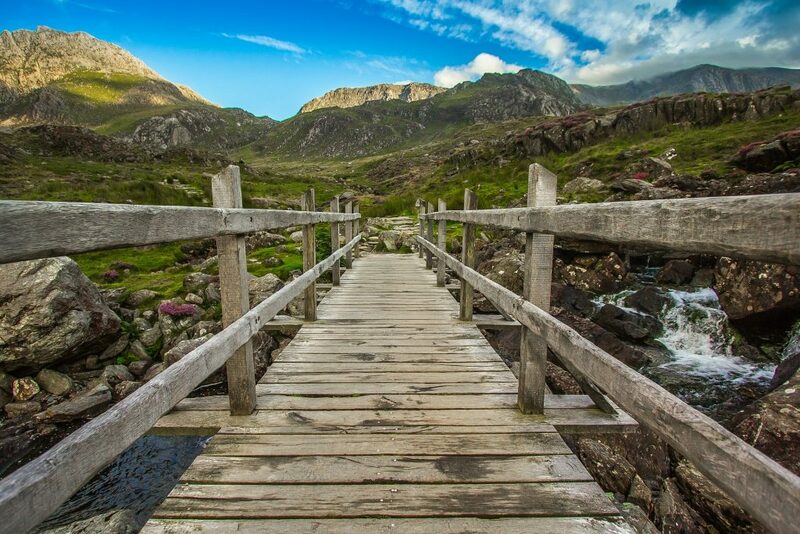 The Llyn Ogwen circular walk is pretty stunning, and it has a mysterious feel to it since legend says it’s the final resting place of King Arthur’s sword – Excalibur. On the subject of myths and legends, you can also wander the legendary trail of Dinas Emrys. Make your way to the ancient site of Dinas Emrys, which overlooks the beautiful Llyn Dinas – but be careful, they say a dragon sleeps underneath it! Wales is known for its hospitable outlook and warm welcomes, so it’s always worth popping in to check whether you dog’s welcome if you spot a pub you fancy, but to get you started, we’ve picked out a few pet friendly places to eat and drink while you’re in Snowdonia. Plas Yn Dre in Bala, is a delightful dog friendly restaurant. The menu showcases the tastes and flavours of the region, and this one’s a friendly place to cosy up and tuck in after a busy day exploring the area. If you’re after a crackling fire and a traditional feel, then Tal Y Don in Barmouth is just the spot for that tasty glass of something chilled while you warm your toes. With a selection of exotic beers, you’ll be able to try something different while you sit back and watch the world go by. You may think of mountains when you picture Snowdonia, but the top of Snowdon is actually just ten miles to the sea. Not only that, but the region’s coastline stretches for around 200 miles…so it’s time to get thinking about with Snowdonia beach you’re going to traipse with your pet. There are more than 35 beaches along Snowdonia’s coastline, and dogs are welcome to walk on nearly half of them, so you’ll be able to enjoy those bucket and spade days with your dog joining the fun. To name a few, the area’s dog friendly beaches include Dinas Dinlle, Harlech Beach, Barmouth, Black Rock Sands and Tywyn.